Floral City Heritage Council, Floral City Heritage Days, Floral City Historic District. Floral City Heritage Hall Museum “Country Store” had a face lift recently and is now open from 10:00 a.m. to 2:00 p.m. every Friday and Saturday. Heritage Hall is located in the Floral City Town Center on Orange Avenue, one block east of U.S. Hwy. 41. 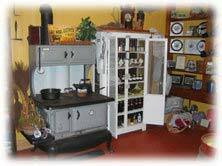 The purpose of most museum stores is to raise funds for the museum and its exhibits and to further the knowledge and appreciation of the history and heritage of the area it serves. Read more. Reminder: Anyone interested in working on the Steering Committee is invited to come to the meetings. We are looking for interested individuals to serve on the Steering Committee next year. Elections will be in October, 2019. Saturday, April 20 - Earth Day! 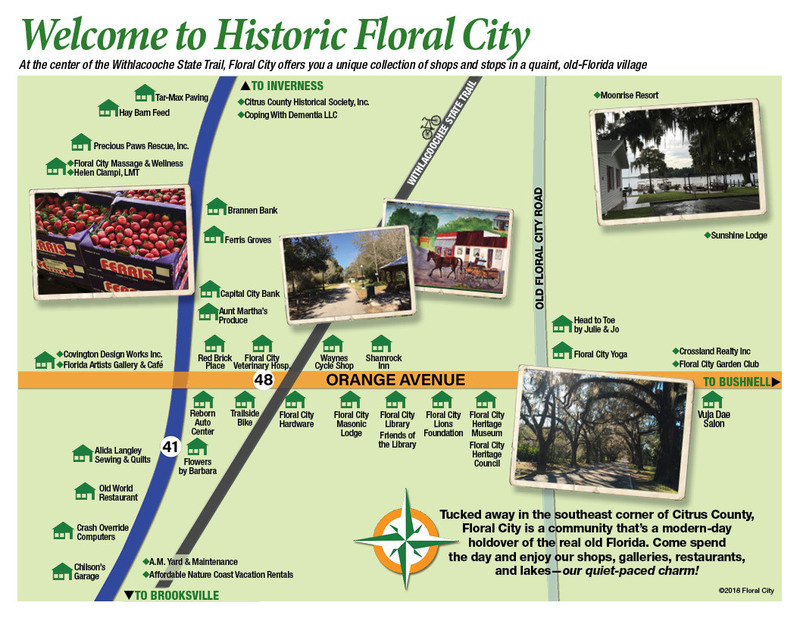 Celebrate the Tree Preservation Projects of the Floral City Heritage Council by taking a walk on Orange Ave! (Use the Walking Map painted on the Veterinary Clinic building!) The Tree Preservation Committee has worked with the County to identify historic trees on the avenue and to assist in preserving their ongoing health. New plantings are planned to replace 3 that have been lost. 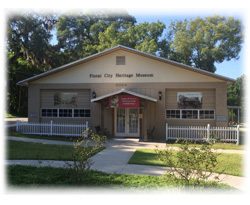 7:30 pm SNIPPET of HISTORY - Kassie Kemp from Florida Public Archaeology Network (FPAN) on Cemetery Transcription and Headstone Preservation - Floral City is on the map for Historic Cemetery Preservation! Thursday, May 16 - Tom Ritchie at the Valerie Theatre telling tales about Pirates! 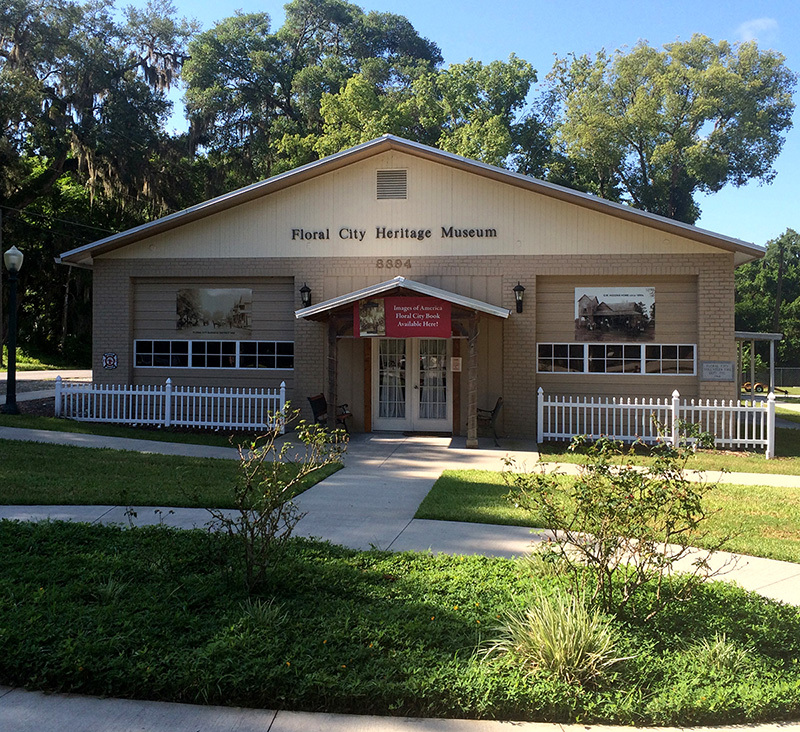 The Floral City Heritage Council serves as an advocate for Florida historic preservation and presents and supports Florida folk-life programs. 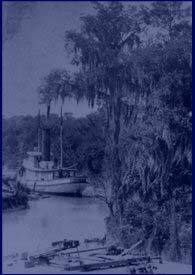 Established in September 1992 as a local branch of the Citrus County Historical Society we support and promote the Society's mission to preserve and further the knowledge of the history and pre-history of Citrus County, Florida and nearby areas.